The Beginning Blogger that I'd like to mention today is Mike Koke. 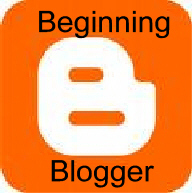 Mike maintains the blog "The Golden Rule". Here's his impetus for blogging: " wanted to start this blog as a safe place to explore early Christian diversity, where no one is insulted and no comment is censored (except for spam or harrassing posts). I agree with John Dominic Crossan's comment on the heated rhetoric of the "Jesus Wars" when he writes, "It is, however, only a small part of the recent shift from academic argumentation (I will make your case as accurate and strong as I can before I demolish it) to political argumentation (I will make your case as dumb and silly as I can before I demolish you)." We should all approach the Bible with humility and be willing to engage with different perspectives. I want to learn from any scholar who can help me come closer to the text, whether the scholar is NT Wright and Ben Witherington or Burton Mack and the Jesus Seminar. I hope this can be a place where we can all treat each other with the Golden Rule." Mike says of himself: "I graduated with a BA in Religion and Theology with a Specialization in Biblical studies from Taylor University College and am just finishing an MA in Religious Studies at the University of Alberta. I hope to apply for a PhD in the Fall and use scholarship as a tool for ministry." In terms of blogging, so far, Mike has written some great posts on Historical Jesus issues, How to 'do' history and The Parting of the Ways. His blog can be found by clicking the following link: The Golden Rule. Be sure to give his blog a look and leave him a word of encouragement! Hey, thanks Michael. Blessings to you. It was just the first week and I already had one particular commenter attacking everything I wrote, so I needed some encouragement :) So looking forward to more dialogue later, and maybe bumping into you and others at the next SBL. I went to school with Mike; good kid.